After a marriage celebrant with a relaxed, friendly approach who is passionate about love? Well, then Erin from ‘Sweet Wonderful You’ might just be the celebrant for you. The self-proclaimed ‘lover of love’ dedicates herself to give you a wedding ceremony that is creative and uniquely reflects your style as a couple. 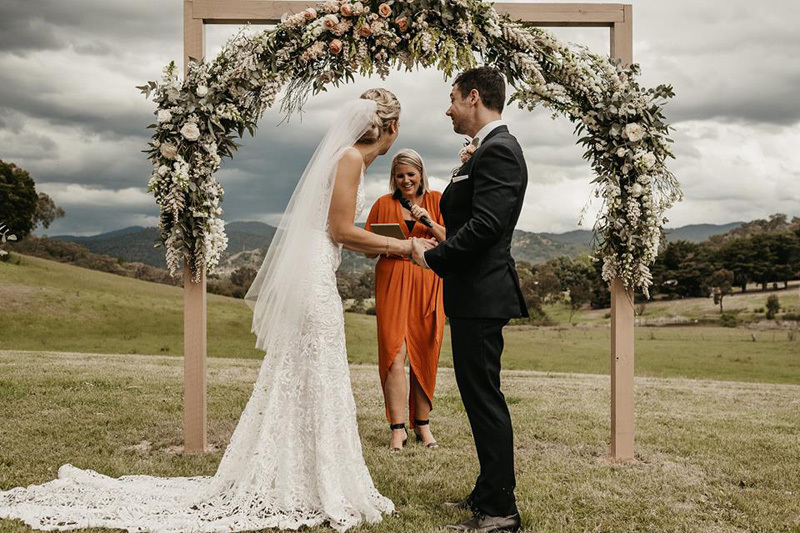 Erin is based in the Macedon Ranges in Victoria but is happy to travel further to reach the wedding couple to be. 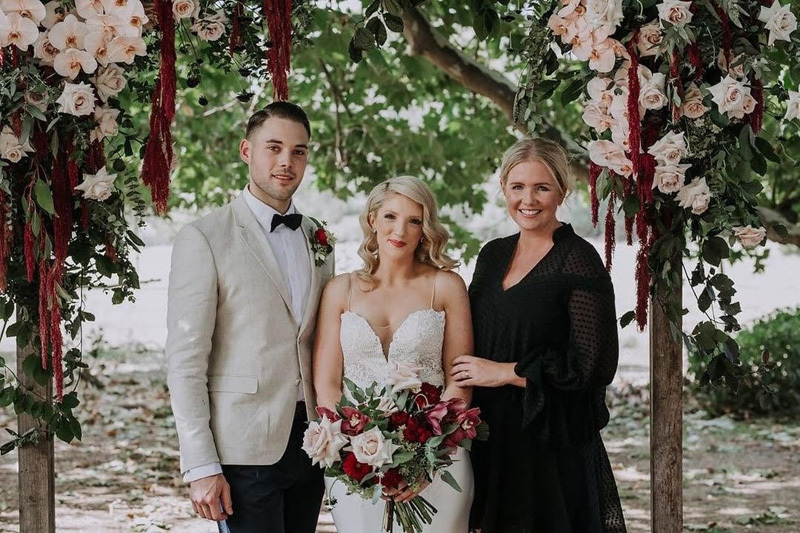 We sat down with Erin to learn more about her life as a celebrant, as well as a stack of tips and tricks for ceremony planning. Read on to uncover Erin’s tips for creating a wedding ceremony that is uniquely ‘you’! 1. What inspired you to ‘fall in love with love’ and become a marriage celebrant? I’m a hopeless romantic! What else can I say. 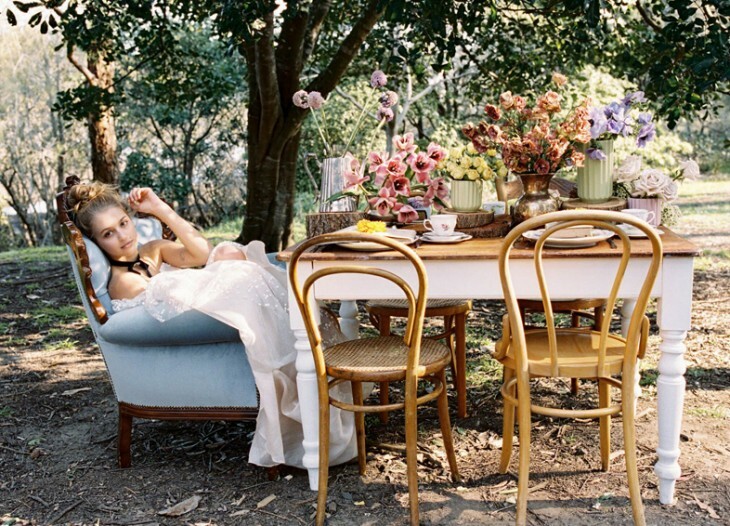 I love everything that there is to love about weddings! So, I thought to myself, why not combine my personal strengths with my passions! 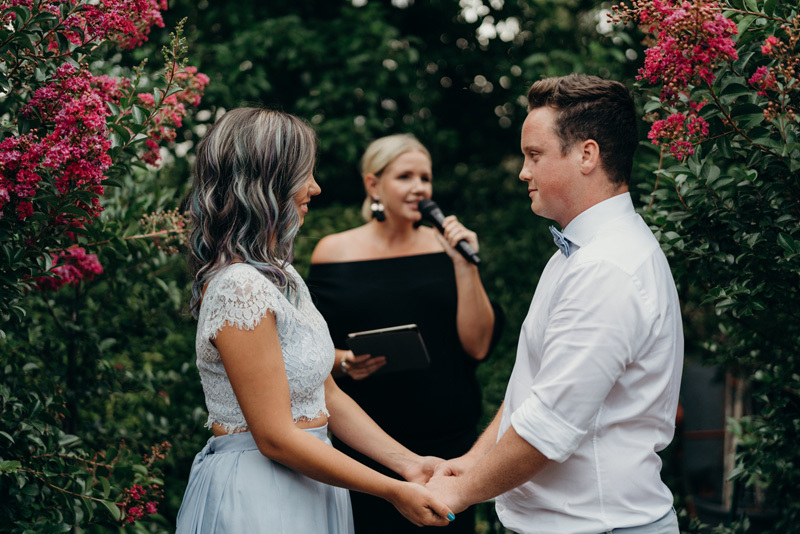 Love, weddings, my impeccable organisational skills and my love of meeting new people – throw that all together, and it makes a great little celebrant! 2. How is your approach is different from most? I’m certainly a people person, so I like to get to know my couples the best I can to give them a ceremony that is “all them!” A ceremony that reflects both their individual personalities and their relationship. I also think that it’s VERY important to remember that the ceremony is about the couple! My personal thought is that the celebrant should be there to tell the love story and hold the attention of the guests but be ‘invisible’ enough that all eyes are on the couple! 3. What are the key elements to delivering the perfect ceremony? 2. To be relaxed and happy! Couples and guests feed off your vibe, it’s good to set a fabulous one! 3. To go with the flow! 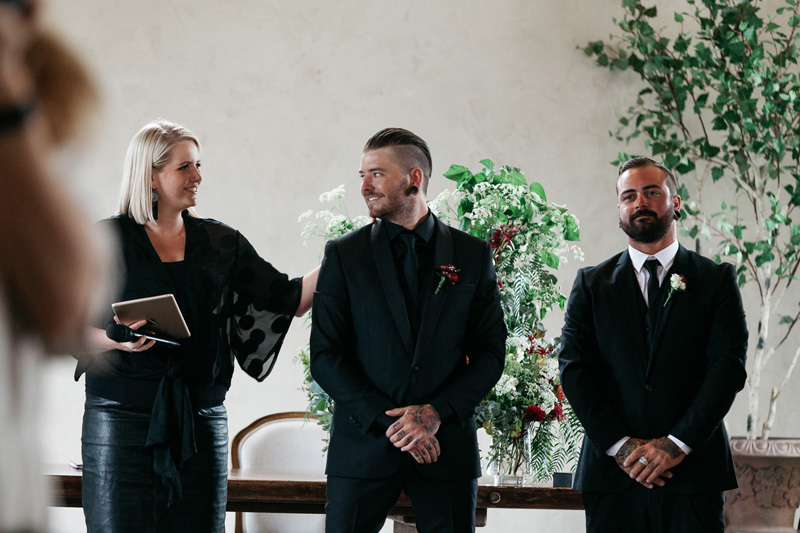 9.5 times out of 10, you stick to the script, but sometimes you never know what might happen in a ceremony, and it’s important to be able to ‘wing it’ a little if something arises. 4. Could you share the story behind your business name, ‘Sweet Wonderful You’? I grew up with Stevie and the gang on repeat on the record player, so it runs through my veins. I’m all about making the process from ‘go to whoa’ with my couples being relaxed and fun. After all, love should be all that – miracles, magic and happiness! 5. How do you make your ceremonies fun and unique? No ceremony is ever the same; every single ceremony is unique to the couple. I always get my couples to answer a questionnaire about each other, which allows me to personalise a ceremony that is all about them and their relationship. I love a good love story! 6. Can you share one of your fave memories as a wedding celebrant? Wow, there really are too many to nail it down to just one! Collectively, surprise weddings would be my favourite! I LOVE them! There’s just an amazing buzz in the air when you announce that it’s a wedding. It’s the BEST! 7. Can you talk us through your planning process? I’m a big believer in meeting before booking. 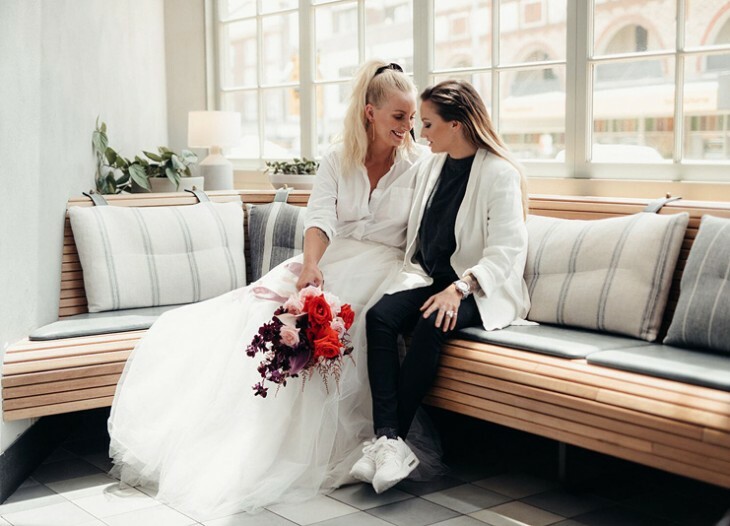 It’s so important that a couple connects with you in person, after all, you’ll be guiding them through one of the biggest days of their life! First meeting over a vino (or coffee I suppose, if it’s morning!) to discuss their ideas and what they are hoping for in their ceremony. Of course, it’s here where I need to explain the boring but necessary legal bits and pieces too. Once it’s all booked in, we start the fun part – planning! I love to send my couples a questionnaire to answer about each other. It gives me a little insight into their relationship and personalities, allowing me to perfect the ceremony writing to reflect them on a whole. Then I create a ceremony that is unique to them and their brief. Once they approve the first draft we are good to go! 8. What actually happens on the day? On the wedding day, I’ll arrive about 45mins before the scheduled start time to assure that everything is set and ready to go. After a quick soundcheck and organisation of the paperwork, it’s time to ensure the groom is there and of course is feeling okay. The next 30 minutes involve meeting and greeting guests as they arrive before the all-important ‘word’ that the bride has arrived! I’m one who loves to pop out and see the bride before she walks down the aisle! Two reasons: firstly, because I’m so excited to see her and secondly, to make sure there aren’t any last-minute requests from her. Then it’s ‘go time’! I come in to announce to the guests that it’s time to start, give the groom and his bridal party one more glance to make sure they are looking uniformed and dapper, then we commence! Post-ceremony, it’s always great to stay and mingle for a little, especially to assure the post-ceremony formalities flow nicely in the form of family photos, and so on… Once my beautiful bride and groom have departed for their photos, it’s time for me to pack up and head on home. 9. How would you like couples to brief you on their requirements? I like to think that I’m good at reading my couples during our first meeting, jotting down a few thoughts on the vibe they are hoping to achieve for their big day. 10. How can a couple personalise their ceremony? I feel if my couples talk to me and chat about what they are hoping for, then this allows me to research and create something personalised for them! I’m one for a little storytelling during the ceremony, nothing too long, but just something that opens their ceremony with some stories about them. After all, they are the reason we are there! WANT TO GET HITCHED BY SWEET WONDERFUL YOU?